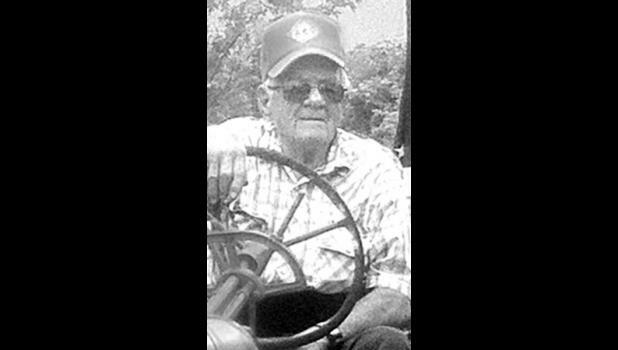 Fred “Bud” Ramage, 88, Hoyt, died Wednesday, Aug. 1, 2018. at his home. He was born Nov. 8, 1929, at Denison, the son of Fred C. and Nellie Myers Ramage. Mr. Ramage served in the U.S. Navy from 1947 to 1950. He was an over-the-road truck driver for several different trucking companies, including Joe Collins Trucking and Jerry Taliaferro Trucking at Holton and Hoyt’s Truck Line in Topeka. He married Verna Anderson on Jan. 2, 1949, at Quartzite, Ariz. She survives. Other survivors include two daughters, Janice Matchie and husband Roland, Holton and Patricia Terry and husband Paul, Silver Lake; two sons, Michael Ramage and wife Carrie, Topeka, and Dennis Ramage, Holton; 12 grandchildren; and numerous great-grandchildren. He was preceded in death by his parents; a son, Johnny M. Ramage, who was stillborn; and a sister, Carol Fitzsimmons. Memorial services will be held at 2 p.m. Saturday, Aug. 11 at Chapel Oaks Funeral Home in Hoyt. Burial with military honors will follow in Hoyt Cemetery. Family and friends will meet from 6:30 p.m. to 8 p.m. Friday at the funeral home.